This time of year can be full of so much festive fun and yet can also set up the heart for deep hope, anticipation and expectation. It can be so easy to get swept up into the madness of it all. Each year I am challenged to ask myself what this time of year means to me. And now that I have a family of my own, I am even more challenged as I reflect on what lessons we want to teach our daughter and what traditions we want to establish as a family unit. Growing up as first generation, I learned of my mom's childhood Christmas experiences in Nigeria where the main event was Christmas Eve service where she and all her 7 brothers and sisters received a new dress/suit and shoes to wear to service. That was it- minimal yet so beautiful and it is was something they so looked forward to all year. Birthdays were not really celebrated so this was a year-end highlight for them. Here in America, as a child I saw my classmates and shops and commercials in a frenzy to decorate and create Christmas lists and my mom worked hard to help give us some of that experience even though it wasn't what she was most accustomed to. 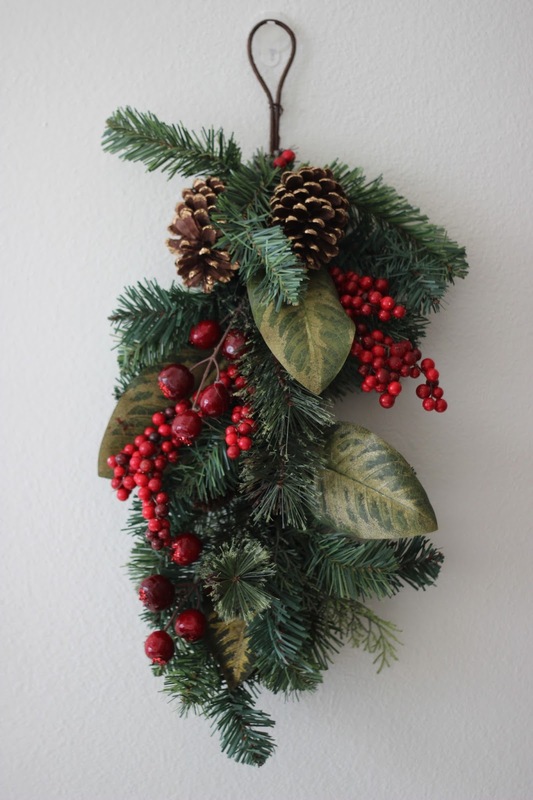 I remember wanting so badly to decorate our home to help it feel more like "Christmas". My mom questioned me as to where we would get the money and with a big grin I replied: "Dollar Tree". 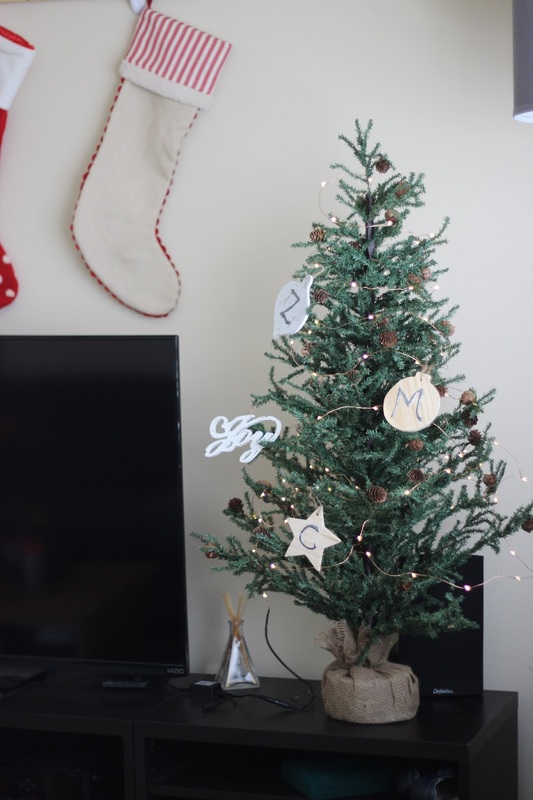 I think I was in junior high at the time and didn't really have a knack for decor or artsy types of things but I was determined to make our home feel like the Christmas I saw on TV and at friends' houses. Oh... 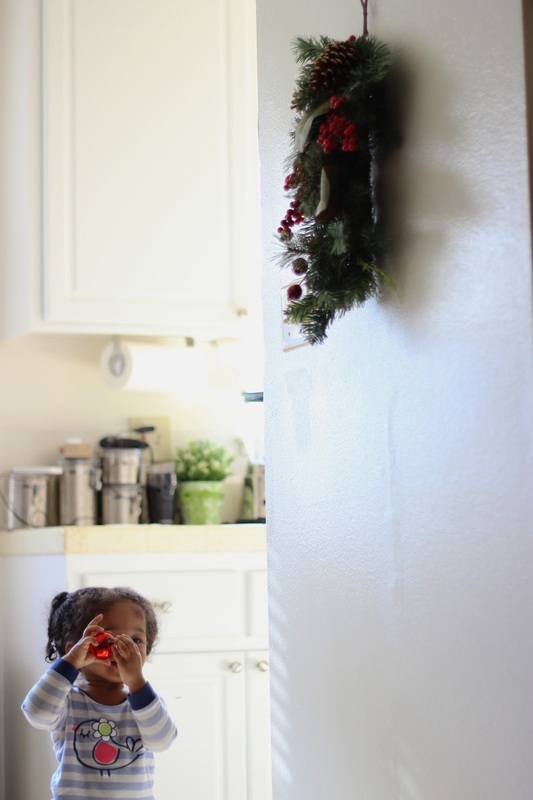 I'm just shaking my head right now thinking of the craziness I put our home through: the bright, shiny gold and silver garland wrapped around our staircase and strung along the mantel of our fireplace. The silver tinsel scattered along table tops and end tables. The fake, bright red plastic poinsettias in small vases- a dollar each! It was a bit of an eye sore but my little kid heart was longing for that sense of festivity. As I'm older now, my priorities, like many others as we age have shifted. I'm not so keen on gifts and my husband and I have actually taken up a no-gifts tradition on Christmas. We instead are looking for ways to give our time and serve in other ways. Being on a tight budget may have spurred this, but even more so- it just feels right. It feels better. I've noticed our minds and hearts are more freed up to focus on gratitude and being thankful for what we already have. And we are able to spend more time reflecting on the love, joy, peace and hope that we have access to and get to share because of our faith. "I can feel a sense of pride over our home now- our home feels like a place I want to come home to at the end of the day..."
I wish you a sense of hope, love, peace and joy as you approach your holiday season this year. 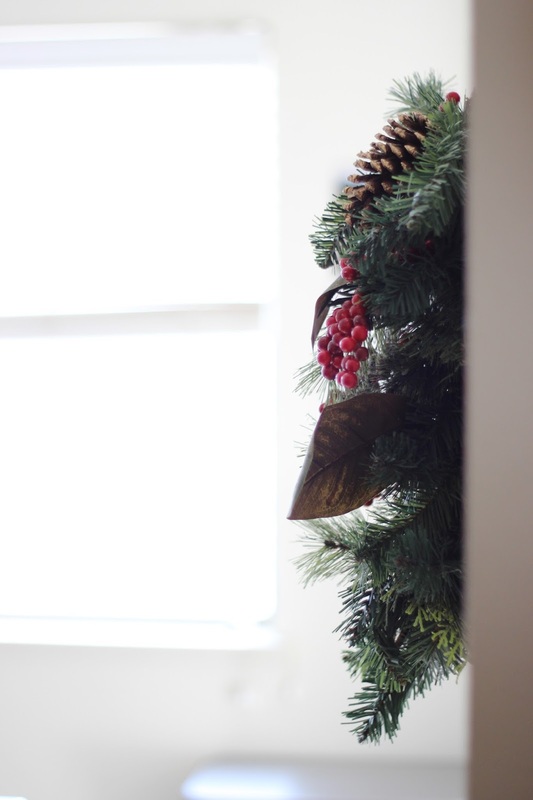 No matter how small your budget or your home, I encourage you to find small ways you can make your home feel special as you too reflect on what this time of year means to you. Loved hearing more about your family's unique traditions Mary!! My decorating style is probably the opposite of minimalistic. ;) But that's part of what makes the season fun- everyone has their own style! I love these decorations! 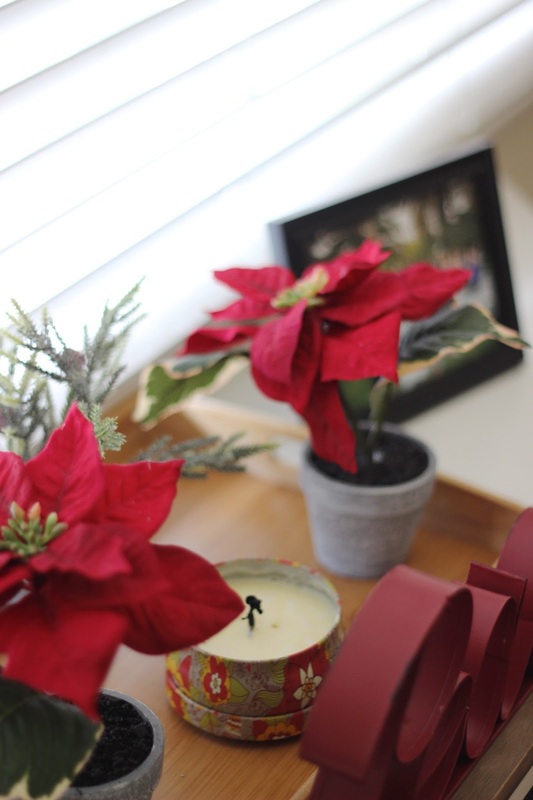 I think a little bit of greenery and poinsettias can do so much to make things look more festive without taking up a ton of space! I love your simple decor! What a great read! 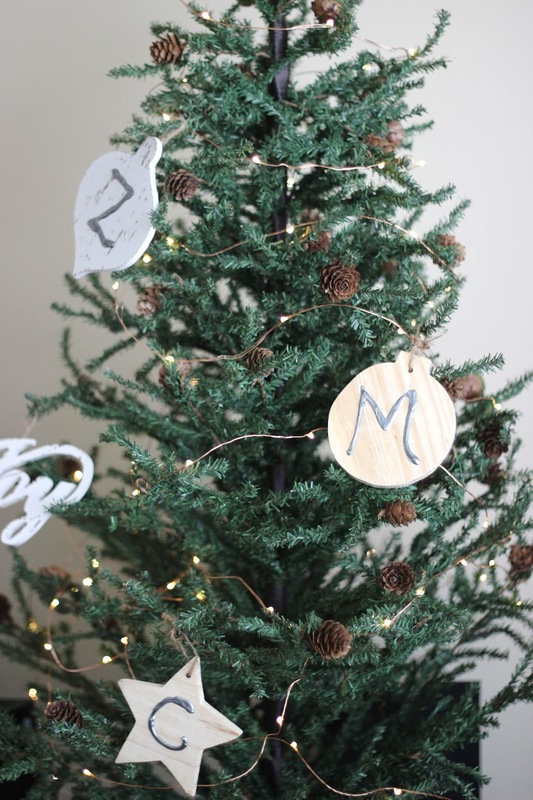 Those ornaments are darling. I love this. I need minimal decorations in my little apartment but also like to be festive still. Michaels is totally my go-to for holiday decor! They have such amazing sales and deals. I'm a reformed maximalist haha, every year, I drift more and more towards minimalism. I love the simplicity in your decor, so chic! This is so cute!! 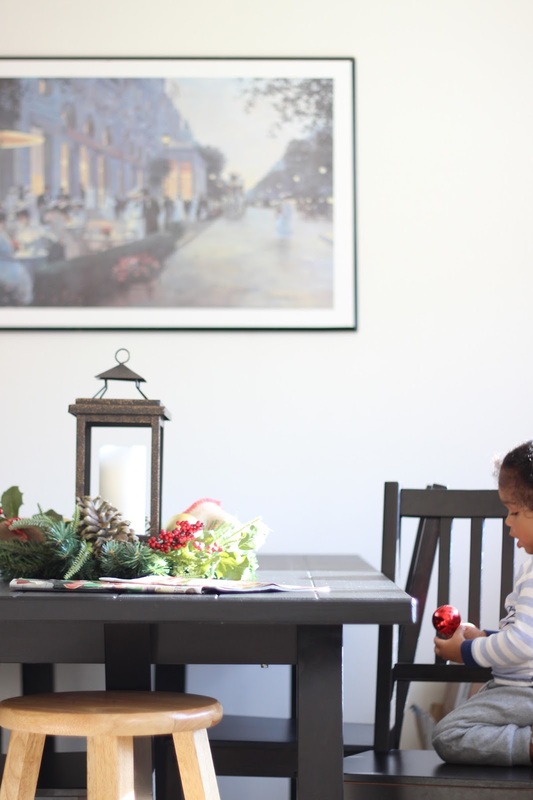 I love the happiness and clean feeling that comes with minimal decorations! Thank you, Mary, for sharing. 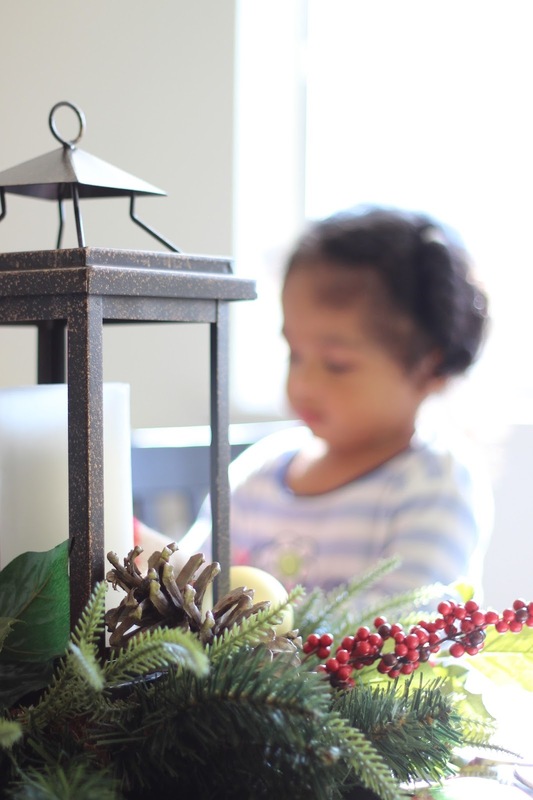 I am a first generation immigrant and I did not come to the United States until after high school; and I still remember how the holiday season was in the Philippines. The holiday spirit manifests beginning September, when Christmas music starts playing and people start thinking of Christmas. When December comes, a nine-day (novena) mass/church services leading to Christmas happens and they take place at about 5 AM everyday until Christmas eve when mass is at midnight. It's amazing how many people sacrifice their sleeping hours to attend church before the crack of dawn. Faith, family, and food were the core of the holidays. Although gift giving was also present, it was no where in the crazy scale of American holiday gift giving. I believe my mom grew up with humbler Christmases, and she made up for it in America: She decorated lavishly and there was a time when we had three different trees in the house on top of all the other holiday decorations all over the house. When I moved out, either in conscious or subconscious rebellion, I never decorated; partly, too, because I traveled a lot and was barely home. It's funny, though, that I am seriously considering decorating this year, since I will not travel for an extended period of time. Like you, though, I will go for a classy minimalist aesthetic to carry me through the holiday season. My goodness, this comment could be a mini Blog post, haha. Cheers, my friend! I love your decor and your daughter is so cute! I, in love with your decor! 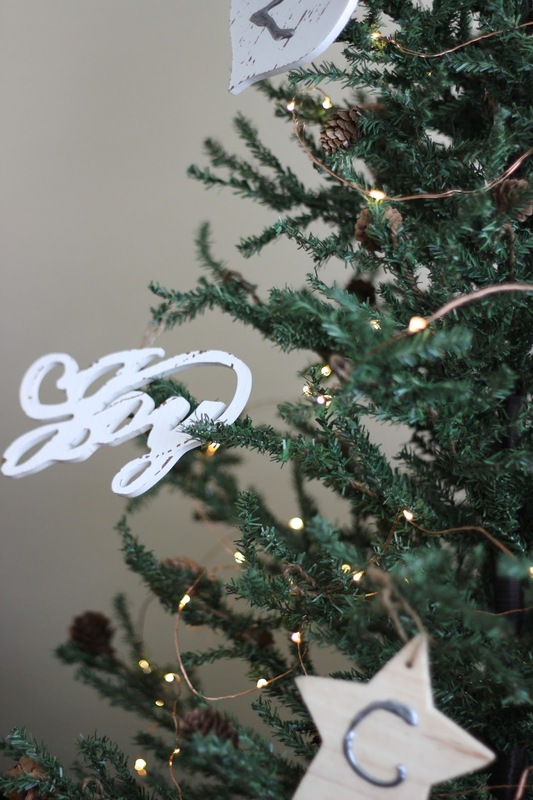 And the ornaments on your tree are super cute! your little girl is so so cute! i hope sharing it with her makes your season extra merry. I discovered that my holiday decorating is basically the Target Dollar Spot! I love seeing how other people decorate for Christmas!